This super quality synthetic fbre quilt has the softness of real down , but with a synthetic micro fibre filling that is machine washable at 60. degrees. . The 13.5 tog duvet is available in 3 sizes single , double and king size and is ideal for those long winter nights . 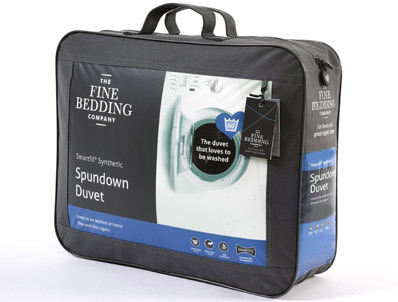 Why not add to the spundown fanily and treat yourself to a new mattress cover or a pair of spundown pillows.